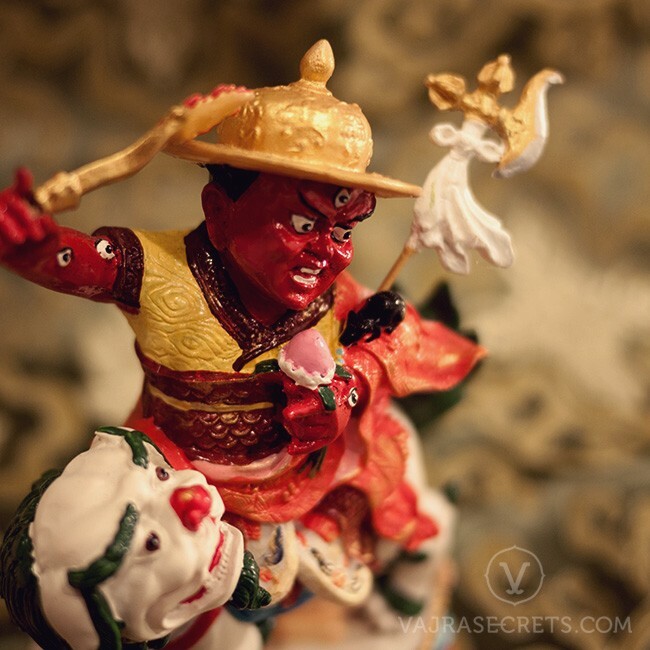 Fulfill your wishes, overcome your problems and protect yourself from negativities and harm with a Dorje Shugden Puja. Dorje Shugden bestows powerful protection from negative energies and black magic, swiftly overcomes life’s obstacles, and attracts the positive energies of wealth, peace and wisdom. Dorje Shugden’s puja is most efficacious due to his affinity with us, and brings success, harmony and wish-fulfilling blessings to all who have faith in him. Many have testified to his swift and benevolent power as a healer, a provider of spiritual and material opportunities, a defender from negative elements and a source of bliss and harmony in the home. My dharma brother Wai Meng, sent the pictures of my sponsored puja. That was performed on May 23rd 2018. I am very Grateful to the Puja Team for their efficiency and dedication. The Puja was done within a few days and I feel great.